Last week, the City of Portland’s Design Commission gave its annual State of the City Design Report to City Council, a relatively overlooked event that is usually seen as more of a formality than one of great public interest. This go around it seemed different, more important than in years past, as the city is undergoing a massive construction boom which has brought a record number of cases in front of the Design Review panel. The intended limitations of the Commission has caused delays in the review process, and has resulted in a general slowing in the development pipeline as individual cases all vie to be seen as quickly as possible in this time of economic upswing. Over the last year, the Design Commission has made improvements, mostly relating to maintaining an effective schedule (e.g. getting a proper timer) that has reduced delays and overruns. But the task force still sees room for improvement. 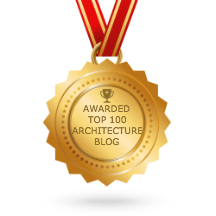 The Commission and the local American Institute of Architects chapter as well as numerous others in the design profession and the public at large would like to see more review, not less, as the city continues to develop at its perceived rapid pace. As noted during the report, the Comprehensive Plan Update will address many of the issues that are currently challenging the city's built environment, but that plan will not fully take effect for years as the details are still being hashed out in a willingly arduous, all-inclusive manner. The Design Commission was created with the goal of improving architecture and urban design in the central city. It aimed at reducing the vast number of blank walls and lifeless streets that the automobile age had unintentionally and haphazardly created. In the past, the State of the City Design Report has been focused on the importance of design review, design appropriateness, long-term planning, and inequality issues regarding new development in the city's downtown core and immediate surrounding neighborhoods. Now, however, the Design Commission is seeing more proposals than ever before, and the city is receiving pressure from neighborhood activists and associations to include the "d" design overlay (designating areas where projects fall under Design Commission review, mostly in the central city) across the entire city as a means to rein in what is perceived as the uncontrolled and inappropriate growth. The review process is something that is unfamiliar and commonly misunderstood by many, but it is generally regarded as valuable and increasingly important as the city grows. Portland is not alone in this influx of new developments, as many American cities are currently experiencing similar construction booms, created by a combination of repressed supply and the fear of the impending increase in Federal Reserve interest rates. As an example, our neighbor to the north, Seattle, has the equivalent of one quarter of Portland's downtown office space (6 million square feet) currently under construction, with even more proposed to start in the coming years. Portland's boom is primarily residential in nature, with a sharp increase in apartment building and an unprecedented number of new hotel units, over 2000, currently proposed or under construction. The city's growing pains are exacerbated by the wholesale condominium conversions that took place during the last housing boom that greatly reduced the city's inventory of existing rental apartments. Additionally, Portland's strict zoning code unintentionally prices most residents out of their own homes by limiting the housing supply in the guise of preserving neighborhood character, a duality that inadvertently pits the preservation of forest and farmland against existing neighborhood aesthetics and density. In the State of the City Design Report, the Design Commission recommend five changes: (1) make design review mandatory throughout the city based on the scope of new development projects; (2) create an additional design review team to oversee this inclusion; (3) update the Community Design Standards as an alternative to design review; (4) rethink the housing bonus to include affordable and low-income units; and (5) remove residential as an acceptable ground floor use along commercial corridors. As with the nature of recommendations, none of these action items were immediately accepted, but the first three changes were welcomed by the City Council and the event's commentators. Generally, expanding design review was seen as a potential means of addressing the current neighborhood and design community's concerns without encroaching on the ongoing revision process of the Comprehensive Plan. But updating the Community Design Standards would be an onerous process in itself and probably implausible at this time. What the new design overlay would look like, what initiates a review, and how it would be orchestrated are currently unknown, but the mayor, Charlie Hales, was keen on the idea, which means these changes could be explored sooner rather than later. The recommendation to change the language of the automatic housing bonus is an interesting idea, especially since the original intent was to increase the housing supply in the city's core, a goal that no longer needs incentive due to market conditions. Rewriting that particular bonus would be premature however, as any new housing policy would be reliant on the outcome of the Comprehensive Plan Update. The most interesting change to be recommended, and one that could be implemented immediately, is a moratorium on residential ground uses for commercial corridors. The Design Commission ran through numerous examples on Burnside Street, Hawthorne Boulevard, and Martin Luther King Boulevard where such 'active' uses have actually broken up contiguous retail storefronts with dead space. The original intent was to create a mix of ground floor spaces, dynamic and interactive, but instead of the porches and stoops dreamed up by city planners, reality tends to repetitiously repeat closed doors painted the same color as the walls flush around them accompanied by a permanent set of adjacent window blinds. As currently written, code allows for residential uses in any commercial zone, regardless if it’s a high rise or a main street storefront, which means that the review team cannot object even if they deem it inappropriate for the location. That does not mean that the reviewers have been silent on this issue, as many times their advice has led to ground floor changes that were ultimately beneficial to the developer. In cases where ground floor commercial uses are unfeasible due to market conditions, the Design Commission recommends having the discretion to allow residential uses with the caveat that it could be adaptable to future retail uses with higher ceilings, open layouts, and ADA accessibility. Live/work units, such as those in the Pearl District or on upper Hawthorne, are a good example of how to accomplish successful adaptable ground floor spaces. The end goal is not to have commercial on every street, the goal is to maintain active uses along specific corridors where they are already thriving. Regardless of whether any of these proposed changes actually come to fruition or not, the Design Commission is proving to be incredibly successful in positively impacting our built environment. There was ample testimony that reiterated the importance and benefits of the commission, and what their efforts have meant to the city. With the current polarization of neighborhood associations, which is directly related to the prevalent anti-density groundswell, it is more important than ever to have a team of professionals who understand all sides of development to help bridge the emotionally-charged divide between growth and preservation. The coming Comprehensive Plan Update will hopefully address many of the issues currently in debate across the city, but the grand narrative of a sustainable Portland, the one with 20-minute neighborhoods and easy access to healthy foods and healthy places, must be heeded by developers and neighbors alike. Since it was first created in the 1980s, the Portland Design Commission has weighed in on hundreds of buildings across downtown, the Pearl District, and a select few historic and close-in neighborhoods. It's a way of ensuring architectural quality not just in individual buildings, but across the city fabric. The Design Commission has always had critics. You can't legislate or negotiate good design, they argue: you can only hope to prevent the worst designs. It costs building owners and developers lots of time and many thousands of dollars to go through the process, bringing uncertainty to an already often-risky venture. And can you really judge and arbitrate aesthetics? Isn't one person's eyesore another's masterpiece? Yet for all these concerns, the Design Commission is arguably a big component of what makes Portland's urban design world-renowned. 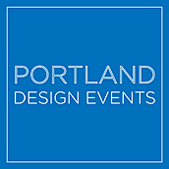 "I think this process and the fabric of Portland is in fact our brand," architect and former Design Commission chair Mike McCulloch said in a May 31 City Club talk. "The number of groups that we all have toured around, that come from all over the planet and ask, ‘How did you do this? This is such a wonderful city. How did you get it to be this way?’ Well, it’s through all these difficult negotiation processes, and the connection of planning with individual design, with urban design." McCulloch was part of a trio that spoke with writer/editor Randy Gragg as part of the City Club talk, which explored both the past and future of the commission. Developer John Russell, another panelist, was instrumental in its founding, while strategic planning consultant, Guenevere Millius, currently serves as chair. "It has long been said that the city’s design review process can’t mandate great buildings, but it can prevent truly bad ones. But as I survey Portland’s current boom, particularly in the neighborhoods, I’m not so sure the latter is true anymore," Gragg said in his opening remarks. "One only need stroll to the Pearl district to see how well design review can work, where the sum has become greater than its parts. But more recently elsewhere in the city we’re seeing additions I think are subtracting from the city. And never before in history have there been so many building permits released." Russell talked about the genesis of the Design Commission, which was inspired by the construction of the Congress Center (downtown between Fifth, Sixth, Main and Salmon). The office tower is oppressive at the street level, with no storefronts along busy Sixth Avenue and massive granite slabs at its corners. "We need some ability to get a subjective judgment, not a prescription but a subjective judgment, about how these buildings should work at the ground floor," Russell said. "The ground floor is what separates urban buildings from suburban buildings: they’re a pleasure to walk by." McCulloch, who was part of the Design Commission from 1996-2007 and spent five years as its chair, said he came to Oregon as an architect "because this kind of discussion was going on, and because it wasn’t a place in which you had to wait forever in a back room somewhere to be given the opportunity to say something about the built environment. We participate here. We talk about it at the neighborhood level. We talk about it between professionals. And we work our planners and politicians pretty hard about how this city is made. I came to Portland to join that. Design review seemed to me to be the perfect place in which to participate in this discussion, and for me as a designer to affect that discussion a little bit." The biggest change in the Design Commission under McCulloch's watch was the creation of Design Advice Review, which enables architects and their clients to receive guidance earlier in the process. He realized that if the Commission rejected a design, "then the team who had spent all this time and effort was kind of back to square one. What we tried to do was to make the review process work more the way the architectural design process works, which is starting with concepts." Millius, who serves as the body's current chair, has been on the Commission in times of boom, bust, and boom again. Her first hearing was in 2006, an eight-hour marathon that was common during this time of real-estate speculation. "We were just flattened by the load. One night in 2007 we reviewed a million square feet of real estate," she recalls. "So it was pretty different when the crash came. Things really slowed down. We went from two hearings a month to sometimes one. I remember one month when there was none. And it was frankly difficult to be the stand bearer for quality and permanence when you knew that every project that came in was hanging on by its fingernails. Everyone was having a hard time. " "What you realize when you’ve been through a boom and a bust and a boom again," Millius added, "is that the pressures don’t really change. Every project is in a hurry to get out of the ground. Every developer-and-architecture wants to get it done as fast as they can. Every developer team really feels like they’ve done everything they can. In some cases they have and in other cases you have to push them a little harder. But the truth is as a design commission we have to pay attention not just to the problems and issues of today. What’s this building going to be like in 50 or 100 years?" But the point of this City Club talk was supposed to be how to solve its problems, which were alternately described as "heartburn" (by Gragg) and "clogging" (by McCulloch), and to look at its jurisdictions of the future, including possible expansion. Perhaps unsurprisingly given his private-sector experience, Russell was the first to address the Commission's inefficiency. In redeveloping the 200 Market building downtown, he recalled wanting to move a ground floor glass wall out 18 inches for a restaurant. "Design review staff said, 'The rules are that will take us 8 weeks to give you an answer, because we have to write a report, we have to mail it to all the neighbors, we have to wait for them to appeal or not, and then we’ll write another report,'" Russell recalled. "There needs to be some way that some obviously de minimis issue can get resolved by the staff. These are people with master’s degrees or PhDs. They ought to be able to resolve that in a much more expeditious way." McCulloch also believes that city planning and urban design staff have become separated from the Design Commission discussions. "As chair I was always looking for the Planning staff to come in and say, ‘This is what we’re trying to achieve in the neighborhood,’ and give us some guidelines," he explained. "If you don’t have that context as a commissioner, you have to make it up. You can tell that the applicants are chafing over that, and then the discussions go on and on conversely if you have these really clear objectives and stay within the discussion boundaries, design commission is going to work much better." The trio of current and past commissioners also addressed the intent of design review: it should be goal-oriented, they agreed, and not prescriptive. "A prescriptive design review regulation doesn’t force good buildings as much as it eliminates creativity," Russell said. "If a development-and-design team does something that is so cool but doesn’t meet the present guidelines—just this total end run—we will all stand up and salute," McCulloch said of his attitude while on the Design Commission. "I think we have to encourage the really creative out-there thinking. To do that, I think we have to reinforce the DAR." The biggest issue facing the Design Commission, though, may be that in a time of transformation in our neighborhoods its jurisdiction does not extend to some of the Portland neighborhoods where cheap duplexes and apartments are trampling historic single family homes. "Certainly city planners look at buildings outside design districts to make sure they conform to code, and I think design and development teams are encouraged to talk to neighborhood associations," Millius said, "but I understand that what happens is that it’s a perfunctory visit. It’s an ‘I just had to come talk to you, I don’t have to listen to you” kind of visit. There’s actually a number of neighborhoods that are seeing a boom right now that don’t have design review. And buildings are just going up. People are squawking about it, of course. There’s just no say in the quality of those projects." Yet to expand the Design Commission's jurisdiction beyond the central city and a few select areas like the Williams-Vancouver corridor or the Sellwood-Moreland neighborhood would also require a substantial expansion of volunteer commissioners and city staff, Millius says. "My commission is doing two six to eight-hour hearings every month and the reading that goes along with that, sometimes a third hearing," she explained. "I know the city staff is busier than they’ve ever been. We are beyond capacity. I think that we would need to look at the entire system and think about how we could build more activism in our architecture community on these question and more citizen activism, more people like me who are not trained architects but have an interest in the fabric of their neighborhoods and protecting them." Host Randy Gragg played devil's advocate for developers, who face under-appreciated risk in going through the process. "One of the complaints is the amount of effort that it takes to get through design review necessitates a huge expenditure of money. That process is not graduated in a way that yields a certainty that you’re making it through that process. More firm critique at the start of the process would make a lot more sense -- giving the DAR (Design Advice Review) process a lot more teeth." By the end of the discussion, it came to seem like many criticisms of the Design Commission are solvable: streamline the process and the time it takes; provide more feedback in the conceptual stage. But the unanswered question seemed to be whether and how we might expand design review beyond downtown, the Pearl, Northwest and a few east side neighborhoods. It would require more staff, and many more knowledgeable volunteer commissioners, but it would help the city better keep on top of the current boom in construction, most of which is happening outside of Design Commission jurisdiction. Yet many of the design-related issues that have citizens most up in arms are about aspects of design that even the Design Commission can't control, like how tall a building is allowed to go in particular neighborhoods, or whether multi-family housing projects should come with a certain amount of on-site parking. In areas like the Williams-Vancouver corridor, for example, apartment and condo buildings are routinely appealed by neighbors because they are more than three stories tall, even though it's something zoning allows. That's something for the city's planners to address, not the Design Commission. Same goes for parking. But McCulloch and Millius both argued that this is all the more reason that city decision-makers should be talking more than they should. "We’ve had less and less liaison between the people actually deciding what we do with parking and the major moves being decided at the Planning Commission level," Millius said. "We get to enforce happens in design. It’s awkward when there isn’t a lot of talk between these two bodies." Whatever fine-tuning needs to be done, though, McCulloch is right that design review and the Design Commission have helped make Portland the well-designed city it is. "A building has to be of quality and permanence," Millius added. "It’s not quality and permanence when the economy is good or when the developer isn’t in a hurry. And so we have to keep reminding ourselves of that, that we have this responsibility to be stewards of the public realm." This is a time when I think a lot of us have been slow to wake up just how much the real estate economy has begun to explode again. And while no one wants to go back to the economically dark days of, say, 2009, dealing with an explosion of new projects around town comes with its own challenges. And while design review can help prevent or diminish architectural eyesores, it may come with its own set of potential problems from inefficiency and red tape to stifling creativity with over-prescriptiveness. And yet, there's no mistaking that design review is a fundamental part of what makes the fabric of Portland's urban core, as well as districts like the Pearl, the Alphabet District and Sellwood, a collective success story that leaders from other cities continuously come to for inspiration. I think we have to look at expanding the Design Commission's jurisdiction, though, even if it's just a select few additional neighborhoods or transit corridors. Back at the beginning of the City Club talk, Gragg told a story about the days prior 1999 when Design Commission meetings were held in the Portland Building, in a room that included a large Douglas Fir model of the downtown. "Every developer and architect had to bring a proposed scale model of their building and place it into the Doug fir model. ‘How will your building fit into our city?’" Gragg remembered as the essential question of design review. If one were to build a new model of the Portland core today, I think it would have to be a much larger model. More than ever, ours is a city of neighborhoods: places like the Hawthorne District, North Mississippi, Alberta, Beaumont-Wilshire and Belmont, where density is starting to coalesce. Nobody is looking to overtax developers or city government and volunteers, but the alternative is to lose the essence of what makes these places special. In late December, construction equipment began returning to the gaping hole in downtown Portland that has sat empty for nearly five years between Southwest Morrison and Yamhill Streets between Park and Ninth Avenues. Yes, work is finally resuming on what one might call the “Momma Bear” solution for what is intended to be developer Tom Moyer’s iconic vision for an iconic high-rise retail, office and residential tower in the heart of Portland. Back in 2007, just as Moyer was beginning to slip into the haze of dementia, his development team completed plans for a 33-story slender tower with offices, retail and condos. Work stopped with the crash of the condo market, and in 2009 the Moyer team returned with the “Baby Bear” version – 26 stories with retail, offices and no condos. The cutback had to be painful for Robert Thompson and the design team at TVA Architects, who were rightfully proud of the sculptural, slender tower that they intended to be a new landmark on the city skyline. Yet even without the condos, leasing for the Baby Bear stalled and the big hole in the ground sat silent and vacant. “It was kind of the poster child for the recession period,” Thompson said, when he returned to the Portland Design Commission recently with the Momma Bear version. “Obviously, it was heartbreaking for everyone when it came to a halt in 2009.” Most of the heartbreak is over; the third and presumably final version of Park Avenue West rises 30 stories. At 460 feet tall, it falls only 16 feet short of the original design. A slender spire approved as part of the project will push its tip just past 500 feet. The exterior of Park Avenue West looks much like the two earlier versions – and is essentially identical to the 26-story "Baby Bear" design with four floors added below the canted roof that shrouds mechanical equipment. In the latest plan, 15 stories comprising 203 apartments will sit atop the bottom two floors of retail, and 13 stories of office space will sit above the apartments. In the first 2007 design, the condos took the highest floors and sat atop the officer space. With the collapse of the high-end condo market, office space pays a better premium for what Thompson called “the views and everything about being up high.” In all, it is a busy formula for a block that, at 100 feet by 200 feet, is only half the size of a normal downtown block. Stoel Rives, the large Portland law firm, has leased nine of the 13 office floors in Park Avenue West, including the top two “penthouse” floors. The Stoel Rives lease and the hot Portland apartment market were key factors in reviving Park Avenue West, which is now scheduled to be completed in 2016. “We are bringing back 203 apartment units that will add to energy and activation of the project at night,” Thompson said. The unusual height of the tower relates back to a grand scheme negotiated by Moyer many years ago. After another developer caused a controversy by proposing a multi-story parking garage on a surface parking lot now known as Director Park, Moyer bought the parking block. He said he would give the surface of that block to the city in return for the right to build parking below it, and to transfer the above-ground development rights to the block that will be home to Park Avenue West on the block immediately north. The City Council agreed. Since then, the Portland Parks Bureau pursued an elaborate design process that led to development of Director Park. Though certainly less well-known than Pioneer Courthouse Square, the slender park with its hardscape surface and multiple public uses will grow in esteem as time goes on. Park Avenue West strives to create an attractive northern face to the park by fronting it with a glassy, 35-foot façade that includes the entry to the tower’s residential floors. The tower’s two-story pedestal offers retail on both floors, and does its best to provide pedestrian engagement on all four sides. “Everything we’re trying to do is energize the ground plane,” Thompson told the Design Commission. The entrance to the upper-story offices will be off Southwest Ninth Avenue, and automobile access to the underground parking will be off Park Avenue. An unusual attribute of the tower site is the presence of low-rise buildings – or no buildings – all the way to the Willamette River. Thompson noted that the slender building “fills a void in the skyline.” True – but it also offers an outstanding view for tenants with east-facing windows that likely will remain unblocked for decades. After decades of stagnation, it is pleasing on several fronts to find that the North Williams/Vancouver Avenue corridor now rates as a Portland “hot spot” for developers. The temperature has been rising slowly for close to a decade, and is now reaching a steady boil in the vicinity of Fremont and Williams Avenue. The recently-opened New Seasons grocery store will now be flanked immediately to the south by a six-story, mixed use building called the Cook Street Apartments with ground-floor retail and 206 apartments above. The U-shaped building, designed by LRS Architects and located at 115 North Ivy Street, was approved on October 24 by the Portland Design Commission after nearly three months of public review. At the same meeting, the commission also took a first look at early plans for a nearby complex called the Backbridge Lofts, on a vacant parcel at the corner of Williams and Fremont. Designed by PATH Architecture, the Backbridge complex would add another 175 apartments. A zone change for the Backbridge has been appealed to the Land Use Board of Appeals, so its progress might be slowed. The zoning appeal is one sign that these changes are not necessarily well-received in the neighborhood. Several residents wrote in or testified objecting to the Cook Street project, contending that it was too big, too dense and a poor fit for what is mostly a neighborhood of small, single-family homes. To the eyes of many residents, these taller buildings look like they belong downtown or in the Pearl, not in the Eliot neighborhood. The new building will sit on a portion of the old Continental Baking site and its adjacent Wonder Bread day-old store. Opposition to change may be bolstered by the fact that new development in the Williams/Vancouver corridor was close to non-existent for nearly 40 years, stemming from racial tensions, poverty, crime and drug-related difficulties. While there are genuine issues involving gentrification, demographic changes and social equity in the corridor, these debates do not alter nor stem the development changes afoot. The pressures surely stem in part from a generational change, in which younger residents for reasons economic and otherwise are favoring apartment living over the burdens and potential benefits of home ownership. That and the fact that the Williams-Vancouver corridor is zoned differently that comparable Portland streets, allowing taller buildings thanks to a partial industrial designation. The Cook Street Apartments may well represent a beacon for these changes, given its use of shimmering green metal panels that are intended to offer the eye slightly different coloring depending on time of day, sunlight and sky color. “It’s a chameleon type of panel,” said Greg Mitchell, an associate at LRS Architects. “In the sunlight they really come alive.” The shimmering panels, to be applied to floors two through six, will be balanced by mocha-colored fiber cement panels in recessed portions of the façade and as fields for the windows. The interior courtyard of the U-shaped structure will allow ramps to 142 parking spaces below grade and parking for 48 ground-level vehicles. Provision has been made to park 230 bicycles. Most of the courtyard will be covered by a green mesh rain screen. Small public plazas will be located at building entrances on the corners of Cook Street and Williams and Vancouver. The architects made several tweaks to the design as a result of public hearings, but were unable to comply with one suggestion. The commission inquired as to whether two electrical transformers could be placed underground instead of on concrete pads at the surface. Transformers are placed underground downtown and in the Lloyd Center vicinity. Answers from Pacific Power & Light indicated that the underground vaults would be far more expensive to install and would delay construction for at least a year. But given the pace of development in the corridor, the question remains at what point putting electrical infrastructure underground makes sense. “The most expensive solution is the most desired,” acknowledged Sheila Holden, a PP&L representative. She said that decision cannot be made by the power company alone, but jointly with developers and city officials. “We would host a meeting if there can be a meeting,” she said, but all parties would need to be at the table. Some developers are willing to pay the utility company to move power lines to the other side of a steet to get them out of the way of a new building. “We don’t always know until the last minute who’s going to do what and where,” Holden said. “Nobody wants lines in front of their houses, but nobody wants to put them underground.” It is a dance that is likely to continue in the foreseeable future in the Williams/Vancouver corridor. No five-acre tract in Portland likely has undergone more development scrutiny, planning and neighborhood tooth-gnashing than the former site of Albina Fuel Co. at NE Broadway and 33rd Avenue, hard against the I-84 freeway. After more than 10 years, dozens of public meetings and countless pixels devoted to potential designs, dare we say that construction is at hand? At long last, all parties, even the once-feisty neighbors, apparently hope so. The Portland Design Commission on January 24 gave its blessing to a plan composed of what will look like five separate buildings all sitting on a two-story podium for 270 parking spaces. The buildings will include 211 units of apartments and townhouses and a retail strip facing Broadway anchored by a New Seasons food market. The last hurdle, it appears, was convincing the developer, Capstone Partners, and its design team to upgrade exterior finishes on the industrially-inspired buildings that will stretch for some 600 feet along Broadway. LRS Architects of Portland is the local design firm, along with Runberg Architecture Group of Seattle, which has an extensive background in urban mixed-use projects. With a hefty prod from the Design Commission in earlier meetings, the design team scrapped a skin heavily reliant on metal panels to a more expensive scheme using three-coat sand-finished stucco. “We think we have a path figured out to make it economically viable,” said Jeff Sackett, a Capstone principal. The various buildings reflect a similar design theme, reflecting the nearby 1920s-era industrial buildings of the former Doernbecher Furniture Co. in Sullivan’sGulch (now a massive self-storage operation) and the Gordon’s Fireplace building just across NE 33rd Avenue. However, Greg Mitchell, an LRS architect, said the intent was to make each of the four and five-story building look a little different by gently changing color patterns and some fenestration. The overall project will bear the name “Grant Park Village” atop a modest tower element at the key 33rd and Broadway intersection. The five buildings will create a central courtyard that will be open to the public and provide access to the townhouses. A walkway at the southern edge of a roughly triangle-shaped property may someday intersect with a proposed bicycle/pedestrian way along Sullivan’s Gulch. An earlier plan from another developer to build 319 condos (remember those?) and retail space on the same site won Design Commission approval in 2008 after lengthy scrutiny, but the recession killed that plan. Carol Gossett, a Sullivan’s Gulch Neighborhood Association resident, said her association and the adjacent Grant Park Neighborhood Association generally favored the plan. Over the years, neighbors were primarily concerned about traffic that would be generated by a large-scale project. The final plan calls for another major signal at Broadway and 32nd Avenue, which would funnel traffic to the Weidler Street vehicular entrance. Gossett said she hopes the economy will allow construction of the Capstone project. The sloping site posed several design challenges, including vehicle circulation to allow for fire trucks and grocery supply trucks as long as 67 feet. Storm water run-off will be stored in large cistern, allowing for gradual, timed release into the sewer system. If completed as planned, the project will make the vicinity one of the city’s most dense food centers. While some underserved Portland neighborhoods beg for a new supermarket, New Seasons, QFC and the Hollywood Fred Meyer will be competing within just a few blocks of one another. Often it seems that the buildings that sustain us with food and the necessities of life are among the most ugly we encounter. Think Wal-Mart, Costco, or even the revamped Safeway on Hawthorne Boulevard that reopened to dismal reviews earlier this year. Perhaps the same will NOT be said about a remodeled Stadium Fred Meyer, which is currently on the drawing boards at the Group Mackenzie architecture and planning firm. With a not-so-gentle prod from the Portland Design Commission, the evolving Fred Meyer plan shows respect for pedestrians, its prominent West Burnside frontage and gives a subtle nod to Burnside history. “We had a more suburban approach and everyone hated it,” said Terry Krause, one of the Group Mackenzie architects. To its credit, Group Mackenzie returned with a design that much better reflects its high-density urban location. 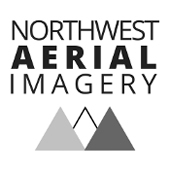 The firm also met six times with the aggressive Northwest District Association land-use committee, which ranks high among Portland’s neighborhood watchdog groups. “We are well-pleased with the evolution of this project,” the committee chair, John Bradley, testified last week – words seldom heard by other Northwest Portland developers. The revised plan adopts a brick-faced arcade along the sloping Burnside frontage, ranging from two levels at NW 20th Place to four levels at NW 20th Ave. The main entrance to Fred Meyer will be at 20th Place, while the 20th Avenue corner will include two tenant-retail spaces to activate the eastern edge. The arcade will provide a covered pedestrian space 10 feet wide, in addition to the 15-foot sidewalk. Krause said the Burnside frontage will include Fred Meyer’s floral shop and a seating area in addition to the two retail spaces near 20th Avenue. There are a few modest quibbles to be resolved before the commission approves the final plan, likely to occur next month. One involves bike parking, and how to keep bikes from from cluttering up the front of the building. The current plan calls for bike parking in the ground-floor covered parking lot, but there are concerns that some cyclists will chose to lock on to street signs or any other secure post on the street, instead. The proposed Fred Meyer blade signs also exceed the city’s sign regulations for square footage. Chris Caruso, the city planner assigned to the project, recommended approval anyway, saying, “We felt the signs were in keeping with the general size of the building.” Design commissioners seemed less sure. But they also laughed when Bradley of the neighborhood association noted the neighborhood “would lose the hideous free-standing internally illuminated sign” that sits there today. The design commission is likely to approve the plan when Fred Meyer returns on October 18. Commissioner Ben Kaiser called the plan a “drastic improvement” over the first version. “It has come a long ways from what we first saw,” added Chair Gwen Millius. Two developers who played big roles in Portland’s high-flying condo boom of the early 2000s are returning to one of their primary neighborhoods with a different development plan: a residential hotel for the Pearl District. Homer Williams and Dike Dame are working on a six-story Marriott Residence Inn to be erected on a vacant, trapezoidal block bounded by N.W. Marshall and Northrup Streets between N.W. 9th Avenue and Station Way. The roughly U-shaped building with 224 units would include a public/private courtyard opening off Marshall Street. The hotel designers, SERA Architects of Portland, earned unanimous approval from the Portland Design Commission on June 7 after substantially reworking vehicular access to the building and switching locations of some internal components. “Marriott, we were pleased to discover, was pleased with the changes,” said Kurt Schultz, a SERA principal. So were commission members, who expressed pleasure that many of their concerns were addressed successfully. The revised plan eliminates vehicles from the courtyard, allowing the design team to craft a more inviting landscape for both public and private use. Landscaping and a water feature will separate a private meeting/drinking/eating space for hotel guests in the courtyard from the public domain that will face on Marshall. Designers also moved more hotel units on the Station Way side to look into the attractive courtyard, and shifted a pool and exercise facilities to open view on the ground-floor Station Way frontage. Thus, the six-story perforated metal screen indeed becomes the main entry for both pedestrians and vehicles. Marriott agreed to provide more valet staff so that cars can be moved quickly from the loading zone on Ninth near Northrup. Because the hotel is intended for guests who routinely stay for five or six days, the loading zone is expected to be less busy than a hotel geared for shorter stays. Hotel parking will be at the nearby Station Place Garage. Kurt Lango, a principal in Lango Hansen Landscape Architects, said the courtyard surface will be composed of two colors of pavers. A curving arc of evergreen trees on the eastern side will provide a buffer and some privacy for hotel-room decks overlooking the courtyard. There will be wooden benches in the public realm and fire pits and outdoor seating for hotel, restaurant and bar patrons. And how to maintain the separation of patrons and non-patrons? “We’ll have to police the space aggressively,” said Trevor Rowe, a Williams & Dame representative. No other residential neighborhood in Portland has the same ambience as Northwest Portland below 23rd Avenue, with its dense assortment of cheek-by-jowl 1920s apartment buildings. Though dozens were built in the same decade, interesting and sometimes amusing architectural tricks kept them from having a cookie-cutter feel. For that we can thank one of the city’s busiest architectural designers of that roaring era, who is now largely forgotten. But the name of Elmer Feig surfaced again recently as SERA Architects completed designs for two new apartment buildings that will sit cater-corner in the Alphabet Historic District at the intersection of NW 19th Avenue and Johnson Street. The design team headed by SERA’s Kurt Schultz examined several of Feig’s 25 Northwest Portland apartment structures built mostly from 1925 to 1931. If that sounds like a lot of buildings, it is it less than a third of the 81 attributed to Feig throughout the city in roughly that same time span. Feig’s formula was simple enough: often three stories with daylight basements, finished in stucco or brick, recessed entry courtyards, double-loaded hallways, flat roofs and parapets. But then the fun begins. Schultz described some Feig buildings as having “jazzy Spanish” details, but that’s just for starters. Descriptors for others include Art Deco, Spanish Colonial, Mediterranean, Moorish, Tudor and even Egyptian. For someone who apparently was never registered as an architect, Elmer Feig was a busy man with a crowded palette. The Great Depression cut his career short, however, and little of his work has surfaced with a date past 1931. His final listing in a city directory was 1937. He died in 1968 at age 71. The developers of the two new market-rate buildings, Mill Creek Residential Trust, compromised on that point. The original plans called for six-story buildings and the final versions came in at five. Yet that was too much for one landmarks commissioner, Harris Matarazzo. He described the designs as handsome, but believed they were still too large given their proximity to three nearby smaller buildings on the National Register of Historic Places. He cast the lone opposing vote in a 4 to 1 final tally. Both SERA buildings will have similar rusticated first floors, but that is the only similarity. The larger “Building A” with 86 apartments, will have a stucco finish, parapets and circular decorative medallions, a playful touch of which Feig no doubt would have approved. Across the street, the smaller “Building B” with 48 units will have the second, third and fourth floors wrapped in brick with a fifth floor sheathed in stucco panels. Building B includes a flat projecting cornice, unlike its companion. In Northwest Portland, where an aggressive neighborhood association watches land-use matters with hawk-like vigilance, the concern was more for the fate of four century-old elm trees on Johnson Street than the architecture. The neighbors felt the trees deserved as much protection by the Landmarks Commission as the built environment, since the national historic district description includes the significance of the trees. The city planning staff concluded that the commission’s jurisdiction did not include the public right-of-way on which the trees sit. Schultz said the development team would try to protect and preserve the trees, but there is no guarantee as to the outcome. The protective steps will include hand demolition of a single-story building on the site of Building A, a reduction in underground parking to leave more room for the tree roots, and careful scheduling of construction equipment to minimize damage. Yet it may take five to seven years to determine whether the trees survive, Schultz said. While Schultz likely will not match Feig’s output in total Northwest Portland apartment buildings, the SERA team has a accumulated a good feel for the neighborhood’s architecture and has been diligent in meeting with neighborhood representatives. They also met several times five years ago when SERA was designing a larger apartment complex that today sits comfortably at the eastern edge of Couch Park on N.W. 19th Avenue between Glisan and Hoyt Streets.